NASHVILLE, Tennessee—State Senator Mark Norris (R-Collierville) is sharply rebuking Tennessee Gov. Bill Haslam for mischaracterizing the Tennessee General Assembly’s Tenth Amendment lawsuit against the federal government for its operation of the refugee resettlement program to the state’s Attorney General, Herbert Slatery. In a letter sent on Monday, Norris, the co-sponsor of Senate Joint Resolution 467, which passed both houses of the Tennessee General Assembly by wide margins, took the gloves off against the state’s Republican governor. “I am troubled by the statement you released on Friday concerning SJR467,and I am uncomfortable with your mischaracterization of this important Resolution,” Norris wrote. Even though Gov. Bredesen withdrew Tennessee from the Refugee Resettlement Program almost a decade ago, the costs continue to mount. We appropriated an additional $33 million for English Language Learning in this year’s budget. TennCare costs also continue to grow. We must know the extent to which these and other costs are attributable to federal cost shifting to cover resettlement. Haslam chose to allow Senate Joint Resolution 467, in which the Tennessee General Assembly declared its intention to file the Tenth Amendment lawsuit, to become effective immediately. Haslam, a Republican, had ten days after the resolution, which passed both the House and the Senate last month, was presented to him to veto it if he wanted to prevent it from going into effect. SJR 467 directs the Attorney General to initiate legal action regarding refugee placements and authorizes the General Assembly to hire outside counsel in the event the Attorney General does not pursue action in this case. I trust the Attorney General to determine whether the state has a claim in this case or in any other, and I have constitutional concerns about one branch of government telling another what to do. 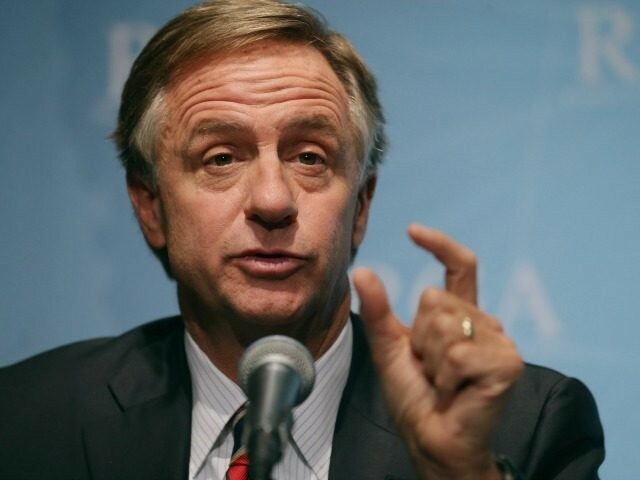 “I also question whether seeking to dismantle the Refugee Act of 1980 is the proper course for our state,” Haslam added. “The Resolution should not have been necessary in the first place. The Attorney General should have acted on his own long before now,” Norris hit back in his letter. Norris then blasted Haslam for his poor understanding of the federal statutes and regulations upon which the federal refugee resettlement program is based. The federal government is not providing the information we need [to analyize information for links to terrorist activity]. We have rights to such information under the Refugee Act. It is ironic that your Administration appears reluctant to enforce those rights. Norris also noted the health risks posed by resettled refugees. 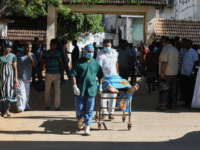 “We also need to know who is resettled, where they are resettled, whether they have been properly screened for contagious diseases like tuberculosis and measles, and whether they have been properly vaccinated. Recent outbreaks of measles in Memphis heightened concerns,” Norris wrote. As Breitbart News reported previously, the recent outbreak of seven cases of measles began in Memphis at a local mosque. Memphis is a center for resettled refugees in Tennessee, many of whom come from Muslim majority countries. Vaccinations for measles were not required for 99 percent these Tennessee refugees prior to their entry to the U.S. Unlike many other states, public health reports for resettled refugees are not made available to the public in Tennessee by Catholic Charities of Tennessee, the VOLAG (voluntary agency) selected by the federal government’s Office of Refugee Resettlement to operate the refugee resettlement program when former Gov. Phil Bredesen withdrew the state in 2008. Tennessee is one of fourteen states that have withdrawn from the program where the federal government operates the refugee resettlement program under the statutorily questionable Wilson Fish alternative program. Other states, including Minnesota, Indiana, Florida, California, Texas, Utah, and Arizona,make this refugee health data available to the public on an annual basis. One of those annual reports, for instance, disclosed that 22 percent of refugees in Minnesota in 2014 tested positive for latent tuberculosis infection (LTBI), and another revealed that 4 refugees arrived in Indiana with active TB in 2015. The residents of Tennessee have no idea what the LTBI rate is for the 1,601 refugees who were resettled in the state in 2015 by Catholic Charities of Tennessee. This critical public health information is being withheld from Tennesseans by Catholic Charities of Tennessee. It is particularly important to know this and other related information about the health status of refugees in the state because, as Arizona officials said in 2014, the high rate of LTBI among resettled refugees is a public health issue. Norris also addressed growing security concerns surrounding the resettled refugees. “The vetting period has been shortened from 18-24 months to 90 days. What has changed to give us any assurarance that this is safe?” he asked in the letter. Sources tell Breitbart News they believe that Attorney General Slatery, whose own conduct in the investigation of a state legislator has come under fire, is trying to craft a legal argument to claim that the proposed resolution violates the separation of powers in the State’s constitution. That will be a hard argument for him to make, since his own Associate Attorney General Bill Young, also a figure in the troubled investigation of a state legislator, testified in February before the Tennessee Senate during hearings on Senate Joint Resolution 467 that it presented no separation of powers problem.